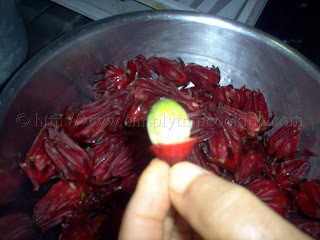 To me Sorrel is synonymous with Christmas in Trinidad and Tobago. 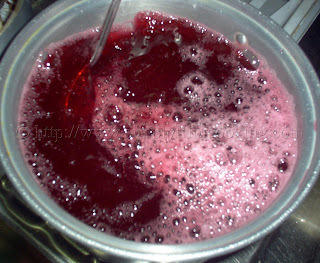 In every home you can find this Sorrel drink being made in preparation for invited guests or parranderos during the Christmas season. 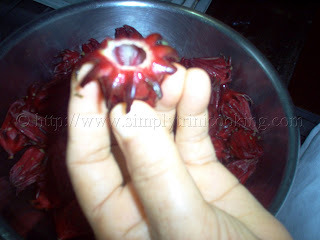 The drink is made from the bright, red sepals of the sorrel plant (Hibiscus Sabdariffa) that is sour in taste. Now this sorrel should not be confused with the other sorrel (Rumex acetosa) that has the same name, which according to my research has a similar astringent flavour. While doing some further reading online I also came across some interesting information on the medicinal uses of sorrel. I was astounded to see that it had cancer fighting properties, among the myriad of other medicinal properties and you could read about it here if you want. Locally, sorrel is planted a few months in advance just in time for the Christmas season . It could be seen in the markets in superfluous amounts, colouring the stalls in a sea of red. 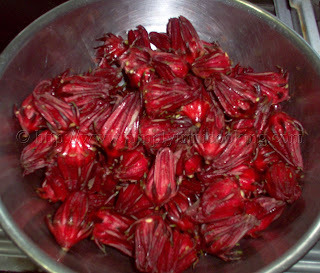 Now, sorrel has gotten so popular you can even purchase it dried off season. So now I can drink sorrel year round whenever I like. Sometimes while driving you can see vans parked at the side of the road or highway filled to capacity with sorrel awaiting passers by. Truly a sign that Christmas is near. As a child, we always planted a few sorrel around the house in time for Christmas. 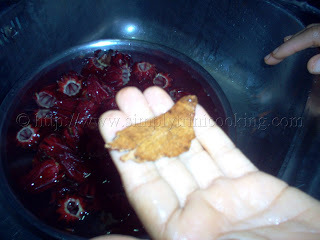 I could remember at times I used to pick the small sepals to eat with salt and pepper; it was so nice and sour…… Anyhow, I recently got some sorrel and was able to make my favourite sorrel drink and also get some pictures in the process to show you all how we make sorrel drink in Trinidad. 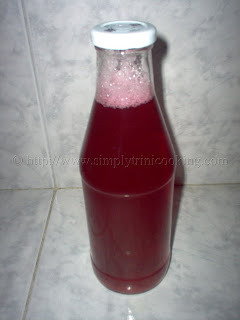 and Tobago If you do get some sorrel to make this drink, I hope you enjoy it as much as I do. 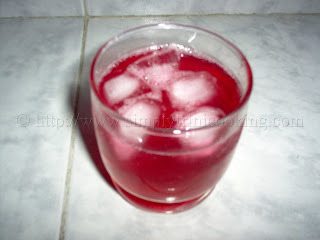 Enjoy trini sorrel drink. Separate the sepals from the ‘seed’. Please, note the technique used. Do not touch the seed with your fingers. The seed has fine ‘hairs’ that could penetrate the skin. If possible wear gloves. This is how it looks when separated. Note where the seed is being held. Wash the sorrel sepals again. Place in a deep pot and add the water, cinnamon, and optional spices. 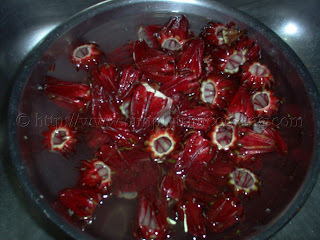 Boil for about 20 minutes or until the sepals begin to lose their colour and look jelly-like. 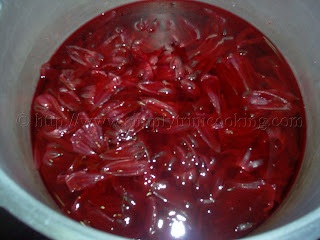 Strain the sorrel and allow to cool. 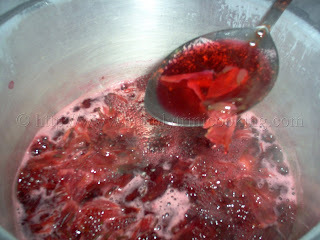 After it cools, sweeten with sugar and add the rum if desired. Transfer to a sterilized bottle and refrigerate. Serve chilled. 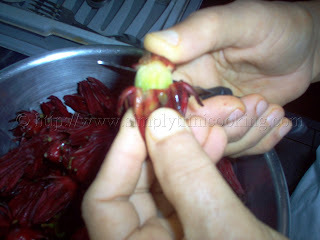 After making this drink we usually throw away the boiled sepals but lately we have found a recipe that use the sepals. So look out for this recipe in the, not too distant, future. Stay tuned. Ah gone! 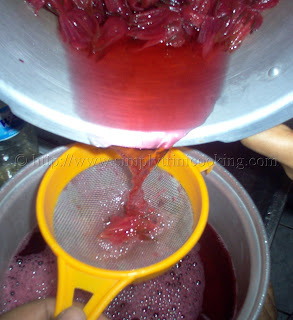 okay using your recipe to do my sorrel tonight…although I have 5lbs of sorrel which would mean 55 cups of water…welllllll more liek 22 cups, this should be interesting. Your English is understandable. My Spanish, maybe is as bad as your English but here goes. 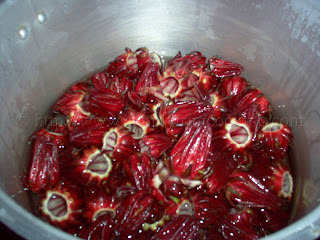 This is one of our favorite drinks now, sadly sorrel, here (Colombia) known as “flor de jamaica”, is rather expensive here. 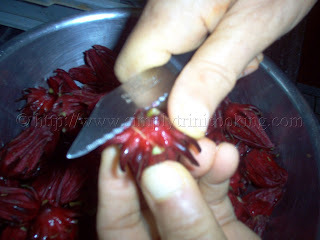 It’s the same process..just that you have less work to do…just boil with spice and sweeten.